When it comes to great web design, we understand that layout, color scheme and photography selection are just the beginning. An effective website must also be fast, mobile-friendly, and optimized for search engines. Plus, all of our sites are designed, developed and edited with web accessibility in mind. 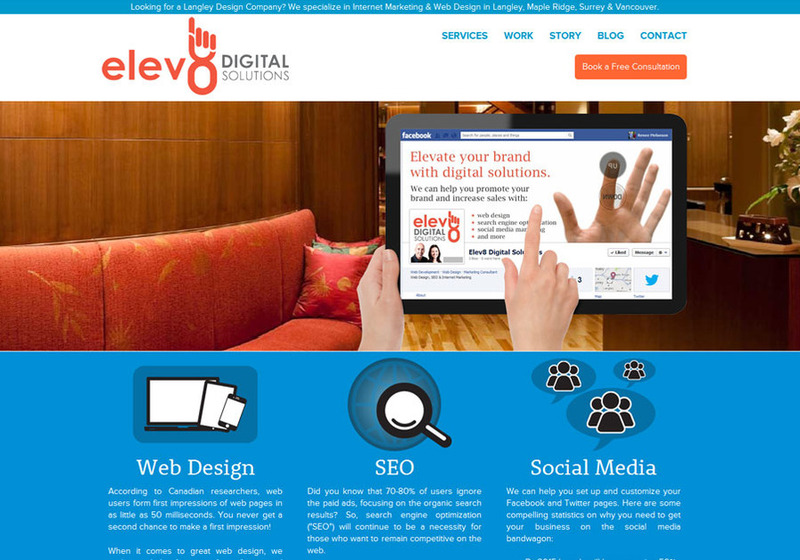 This is a screenshot of the Elev8 Digital Solutions website taken in July of 2012.